Take control of your hormonal system now with MacaSure. Rather than introducing foreign animal, plant or synthetic hormones to the body, MacaSure optimizes hormonal system function to achieve natural balance, safely and without side effects. Best of all, MacaSure works equally well for both women and men, and the benefits increase over time. Clinically proven, maca’s efficacy has been supported through countless scientific studies—and thousands of years of native Peruvian medicine. MacaSure is the same form of gelatinized maca used in published human clinical trials. MacaSure uses only the finest organic maca roots, traditionally grown in the Andean highlands of Peru. A unique whole maca root extract, MacaSure is gelatinized, removing the root’s starch to improve absorption and concentrate the active ingredients within. Processed using a proprietary gelatinization process developed by researchers at the University National Agraria La Molina in Peru, MacaSure is able to deliver purity and potency you can count on. Sustainably harvested, fair-traded, and produced in partnership with the native Peruvians who farm it, MacaSure is certified organic by the internationally recognized Eco-Agency SKAL of the Netherlands. MacaSure is both farmed and processed using certified organic practices and is the best selling brand of Maca in Canada. Dosage: MacaSure can be taken before, with or after meals; it doesn’t really matter. The general dosage of MacaSure ranges from 1,500mg to 10,000mg daily, best split into 2-3 servings. MacaSure is a natural whole food, so taking less than 1,500 mg. daily may not be very effective. If you find you aren’t getting the results you want, try increasing your dosage. 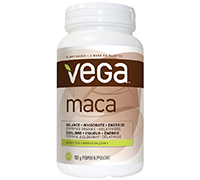 With MacaSure, more is often better and scientific studies show maca to be safe at any dosage level.